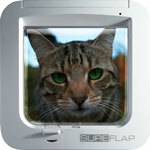 SureFlap cat flaps recognize the ID chip already implanted in your cat, allowing access to your pet and making unwanted visitors a thing of the past. Your home becomes a secure environment for your pet, leading to a happier, more relaxed animal. 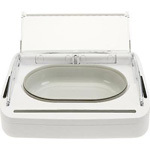 No more unwanted visitors with the SureFlap! • Colours available in White & Brown. 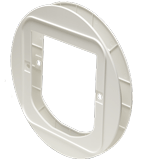 The Installation Template can be used to cut the hole required to fit your SureFlap. For more information visit www.sureflap.co.za. 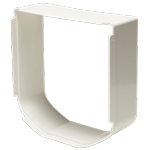 SureFlap tunnel extenders can be used to create a longer approach tunnel to the SureFlap microchip cat flap when it is installed in a wall. 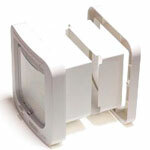 The SureFlap tunnel extender fits snugly onto the tunnel of the SureFlap microchip cat flap and multiple extenders can be stacked together to form a tunnel of any length. 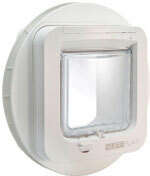 The SureFlap microchip cat flap’s tunnel is 70mm long and each tunnel extender adds 50mm to the length of the cat flap’s tunnel. Click on the link below to calculate the number of tunnel extenders you require to fit the depth of your wall. Colours available in White & Brown. 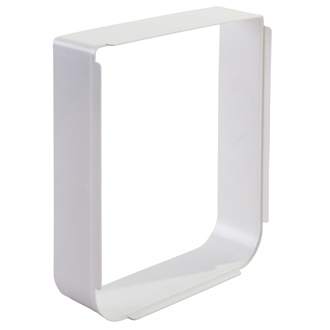 The SureFlap mounting adaptor is useful when installing the SureFlap microchip cat flap into glass, walls and certain door types. This accessory allows mounting in holes ranging from 210mm to 260mm in diameter. The total diameter of the mounting adaptor is 285mm. 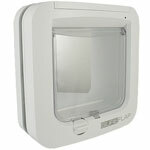 The new SureFlap Microchip Pet Door is the first to be designed to meet the needs of large cats and small dogs. This dimension is the smallest area of the pet door that your pet will have to enter. Each tunnel extender adds 50mm to the lenght of the tunnel. 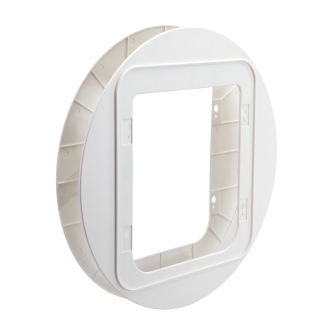 SureFlap tunnel extenders can be used to create a longer approach tunnel to the SureFlap Microchip Pet Door when it is installed in a wall. The tunnel of the SureFlap Microchip Pet Door is 70mm long and each tunnel extender adds 50mm to the length of the pet door’s tunnel. This accessory allows mounting in holes ranging from 294mm to 320mm in diameter. The total diameter of the mounting adaptor is 380mm. 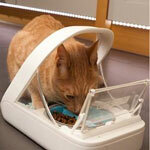 We recommend that you use the SureFlap Microchip Pet Door or Cat Flap with your pet’s veterinary inserted microchip. However if your pet is not microchipped, the SureFlap RFID collar tag is available as an alternative. SureFlap RFID collar tags contain a code that is unique to your pet so that if other pets in the neighbourhood have a SureFlap collar tag, or any other type of collar tag used in selective pet doors, they will not be able to gain access. 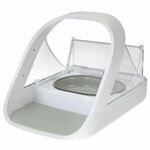 One collar tag is supplied with the SureFlap Microchip Pet Door. 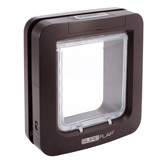 The SureFlap Microchip Cat Flap is not supplied with a collar tag. As your pet approaches the feeder, it recognises their microchip or RFID collar tag, only opening for them. It then automatically closes when the cat moves away, preventing all other animals and children gaining access to their food.